Amsterdam’s zoo, Artis, is one of my favourite spots in the city. 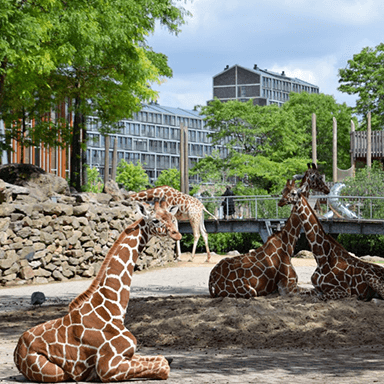 It is the oldest zoo in the Netherlands and has been top of the list of European zoos for many years. The beautifully manicured grounds are full of monumental buildings and are inhabited by animals that are obviously well cared for and seem to be extremely happy. Artis is a green oasis of peace within the busy city. I can spend hours walking around here, and need hours to see everything. For me, one of the most beautiful parts of Artis is the Butterfly Garden. This is a covered, permanently heated garden packed full with tropical plants and the most incredible species of butterfly. A true mecca for anyone who appreciates the beauty of nature, photographers, and especially children. If you are planning to visit Artis with the kids, the Butterfly Garden is guaranteed to be a great success. The Butterfly Garden is only one of the many attractions this zoo has to offer. 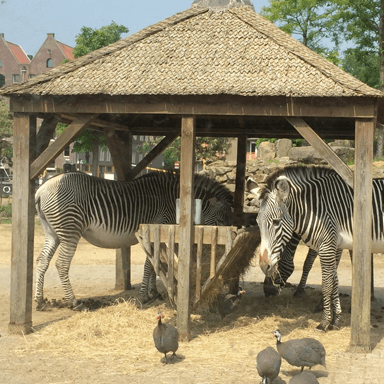 Various natural habitats have been created: an African savannah where giraffes, zebras and ostriches live side by side, a monkey house where you can get close to its residents, and a bird house with the most extraordinary bird species. Scattered between the exhibits are cosy terraces and playgrounds where you can relax and enjoy the sun on a beautiful day. Buy your tickets for Artis online, it’s cheaper than at the ticket office and will save you time by avoiding the queue! Purchase your tickets here. 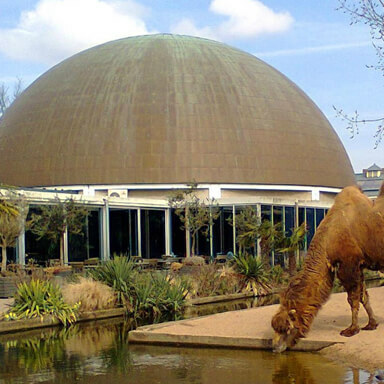 The Aquarium and Planetarium are well worth a visit. The Aquarium is housed in a huge listed building and offers plenty of space to exhibit a wide variety of tropical fish, seahorses and sharks. Several underwater landscapes are also on show, including an Amsterdam canal. I always find it interesting (and shocking) to see how our canals look from under the water. In the Planetarium you are taken on a journey through space as you learn about the universe. In my opinion, this isn’t really suitable for the little ones, but for slightly older children and interested adults this attraction is really worthwhile. Various space-themed shows are on offer and all of them are free, included in the admission price. Next to the zoo stands Micropia, the only microbe museum in the world. In Micropia you will learn all about the tiny organisms that live on and around us. Micropia is a very interactive museum where you will never be given the chance be bored, making it the ideal getaway for both young and old. In Micropia you will discover what types of micro-organisms live in and on our bodies and what these microbes do; you won’t leave this museum without having developed a minor door-handle phobia. Because Micropia is so unique, and because there’s nowhere else like it on the planet, I thoroughly recommend a visit! You will need to buy separate admission to Micropia. Buy your ticket online and save both time and money. You can buy your tickets here. 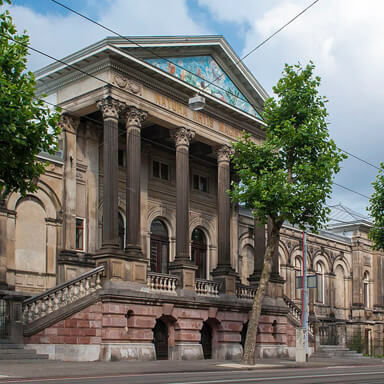 Artis is located in the Plantage district, one of Amsterdam’s most beautiful neighbourhoods. In this area you will find many historic buildings and beautiful parks. As this location is very popular, Artis is less accessible by car. You might find a parking space on site, but the car park is not very big. Because of this, I would advise all visitors to travel to Artis by public transport. Not only will you see something of the city on the way, you also won’t have to worry about finding a parking space once you get there. Tram 9 stops right outside Centraal Station and takes you to Artis zoo. Tip: Both the Hop on Hop off bus and the Hop on Hop off boat stop at the Artis entrance! The zoo opening hours are generous. In the winter months (November-February) the park is open from 9 a.m. to 5 p.m., in warmer weather from 9 a.m. to 6 p.m. In June, July and August the park is open until sundown, both midweek and all weekend. The park is open 7 days a week, as well as on public holidays. You never have to leave the city just to see the animals. A must destination for you and your kids. 659 visitors rated Artis Zoo average 4.55 stars out of 5.